Credo offers challenging and rewarding musical training opportunities, taught by some of the finest faculty in the classical music world. Students are immersed in the study and performance of string chamber music and are challenged to meet high expectations. Check out our programs that help develop these young musicians into future leaders of the classical music world. The Credo experience goes well beyond technical development to challenging and encouraging the whole person. Each day at Credo begins with Morning Sing, a devotional time led from a Christian perspective, where a faculty member shares how their faith in God has helped them navigate the deep waters of personal and professional life. This act of acknowledging and giving glory back to God sets the Credo program apart from other high level programs, and creates a meaningful mentorship environment. Students of all faiths find Credo a welcoming and compassionate environment. By searching for commonality and deepening respect for difference, the Morning Sing broadens students’ conception of community and, consequently, provides the impetus for the service component of the festival. Once per week, students take a ‘break’ from their studies to volunteer at local nonprofits and perform for those who do not have access to the arts—audiences in hospices, nursing homes, prisons, low-income housing projects, and inner-city youth centers. By serving marginalized communities with labor and music, both students and audiences realize their shared humanity. In addition to its faculty, Credo's team is made up of a small staff working out of Credo's office in Oberlin, Ohio. We love visitors, and are conveniently located in the East College St. complex - come by and see us! A native of Chicago, Peter Slowik never achieved his first professional goal – to play shortstop for the White Sox. However, he has achieved his secondary career goal - a meaningful career of performing with the world’s greatest ensembles, performing and teaching on five continents, and mentoring students from all of the major US conservatories. Affectionately known by generations of Credo students as “Pslo,” Peter takes great joy from his marriage, his 4 sons and 7 grandchildren, as well as a legion of musical “offspring.” Learn more about Peter in his faculty biography. When Rebecca first attended Credo at age 14 she had no idea just how large a role Credo would play in her life over the next decade. Rebecca spent four summers at Credo, and went on to receive a Bachelors in Music at Westmont College in Santa Barbara and a Masters in Cello Performance and Suzuki Pedagogy from the Cleveland Institute of Music. In between summers at Credo Rebecca attended the Banff Centre, the Aspen Music Festival, played professionally in the Lancaster Festival Orchestra, and was a fellow at the McGill International String Quartet Academy and the Toronto Summer Music Festival. Rebecca believes that music can make a difference in the world and to that end, seeks to make it available to a wide and varied audience. Click here to read more about Rebecca's Credo Journey. Bethany is a devoted auntie, dog lover, avid crochet-er, and aspiring violist. She is most fulfilled when she is serving others – and after 4 years as a student, and over 4 years as an employee, it’s clear Credo has been an excellent fit! Bethany has watched Credo grow, as an organization and as a way of life, and has been blessed to grow alongside. Bethany received her Bachelor of Music degree from Utah State University studying with Brad Ottesen and the Fry Street Quartet (a past Credo quartet in residence! ), and a Master of Music from Boston University studying with Michelle LaCourse. She recently moved to Chicago with her snuggly Shih Tzu, Wiggles, and now performs with the Civic Orchestra of Chicago. their first day as students at New England Conservatory of Music! 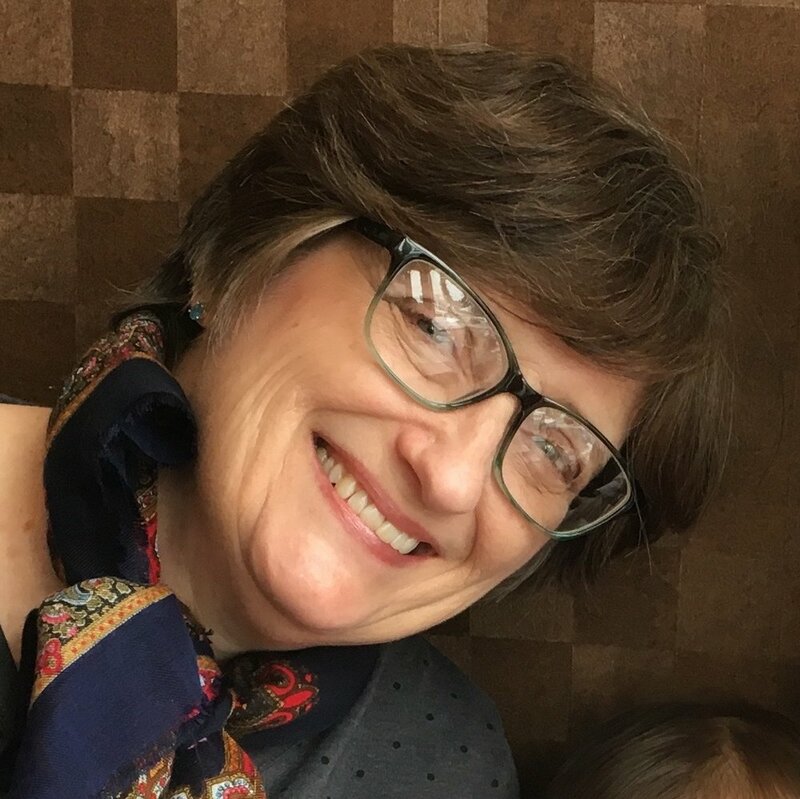 In her forty years with Peter, her music career has taken many forms - as a private and public school music teacher, orchestral and chamber performer, church music director, and as Credo Director of Admissions. As Camp Life Director, she is focusing on what she loves most about Credo – our amazing community of students, mentors and parents! However, her favorite role will always be as wife of the Artistic Director, mother to their four sons, and grandmother to their seven grandchildren! Credo presents a series of concerts and events throughout the year and during our summer 2019 programs. Click here for more details. As a registered non-profit 501(c)3 corporation, SMI-Credo’s success depends upon donations. Well over 60 percent of the annual Credo operating and financial aid budget is raised through personal and corporate contributions. Donations of any size are welcomed and appreciated. Visit our support page to learn more. + What Are Credo Alumni Doing? This lifestyle of acknowledgement - recognizing and responding to the grace of God, is expressed daily as Credo faculty members share from their heart and personal experiences as followers of Christ. Credo students learn that true success is not measured by wealth or fame, but by exhibiting qualities such as kindness and compassion, and daily pursuit of intimacy with God. + What Summer programs does Credo offer? As he served on the faculty of top summer string programs in the 80’s and 90’s, Credo’s Artistic Director Peter Slowik saw the need for a new kind of program – one which addressed the whole being, focusing on personal excellence as well as musical excellence. In the summer of 1999, forty-five intrepid students descended on Resurrection Center in Woodstock, IL to try this bold new approach. As one student put it, “I have no idea what cleaning homeless shelters will do for my playing, but I’m going to find out!” And find out they did, with Credo’s unique blend of faith, musical excellence and service forging a special inspirational bond. Students from that first year have since won the National American String Teachers Association Solo Competition, graduated from Juilliard, Curtis, and Eastman, and now hold significant positions in professional orchestras and on college faculties. A number of them have become string teachers across America—in fact, some of their students (we call them “Credo grandstudents”) have come to Credo in recent years! 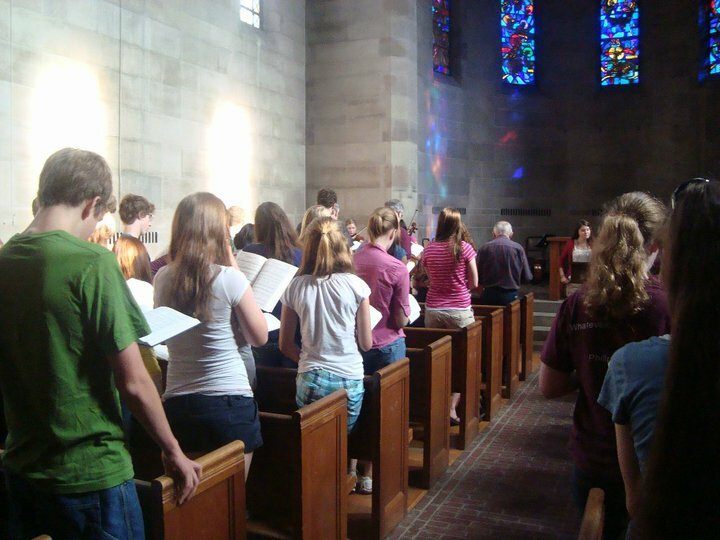 Having recently joined the Oberlin Conservatory faculty in 1999, Slowik saw the synergistic possibilities of Credo in Oberlin, and in 2002, the Credo board voted to move the program to Oberlin.  In the spring of 2004, Slowik founded the 501(c)(3) non-profit Slowik Music Institute as Credo’s parent organization. Establishing Credo at one of the world’s recognized centers of string excellence did much to bolster Credo’s esteem in the musical community, and applications grew threefold over the next four years! Credo is now a fixture on the summer string education scene. Our alumni occupy leadership positions in major orchestras, colleges and conservatories throughout the country, and are consistently among the major prizewinners in national and regional competitions. Equally impressive is Credo’s uncompromising commitment to serving our community with labor and music. 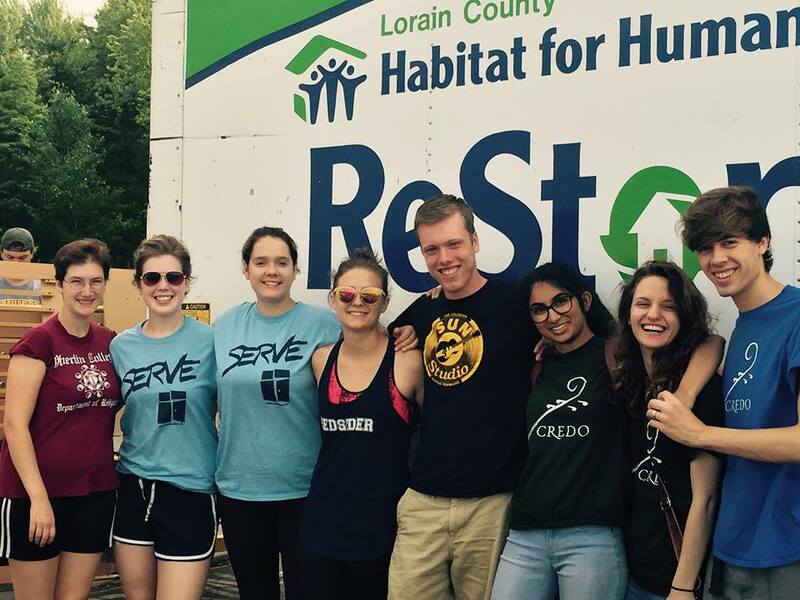 Whether it’s cleaning homeless shelters, packing food at a food bank, or performing for underserved audiences at nursing homes, hospitals and low-income housing projects, Credo students have made a lasting impact on thousands of people in Northeast Ohio. The small beginning in Woodstock, IL has been transformed in the last two decades into a national program. In addition to its current programs in Oberlin and Chicago, and Credo Flute, Credo has presented festivals in Waco, TX, Sydney, Australia, and metropolitan Boston. Credo has become not just a summer festival, but a way of life! "Credo is one of the very few places where musical excellence is fully integrated with a musician's spiritual development. At Credo, the whole person is addressed, nurturing the body, mind and spirit." President, Australian Capital Equity (USA), Inc.